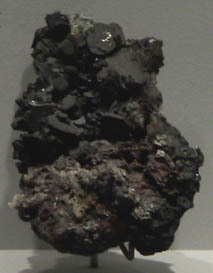 This sample of chalcocite is displayed in the Smithsonian Museum of Natural History. 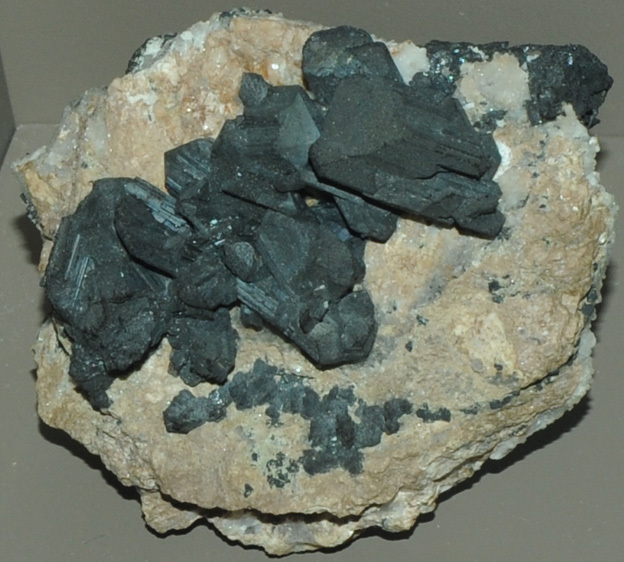 Chalcocite is a sulfide mineral of copper with the composition Cu2S. This sample is about 12 cm wide and is from Bristol, Connecticut. This sample is about 5x9 cm and is from St. Ives Consols mine, Redruth, Cornwall, England.